This evening I ran a bunch of errands after work. I was assigned to pick up cupcakes for work tomorrow so we can celebrate some of the recent birthdays. I made several stops while running errands; one of them was to Sam's Club. While I belong to both Sam's and Costco, I prefer Costco and go there weekly and only occasionally pop into Sam's Club. Over the past year or so, I've noticed that Sam's has really expanded their imported cheese selections. I must admit, this evening I was quite impressed by their variety and the uniqueness of their selections. I found so many that I wanted to try and ended up picking up a few new unusual flavors. 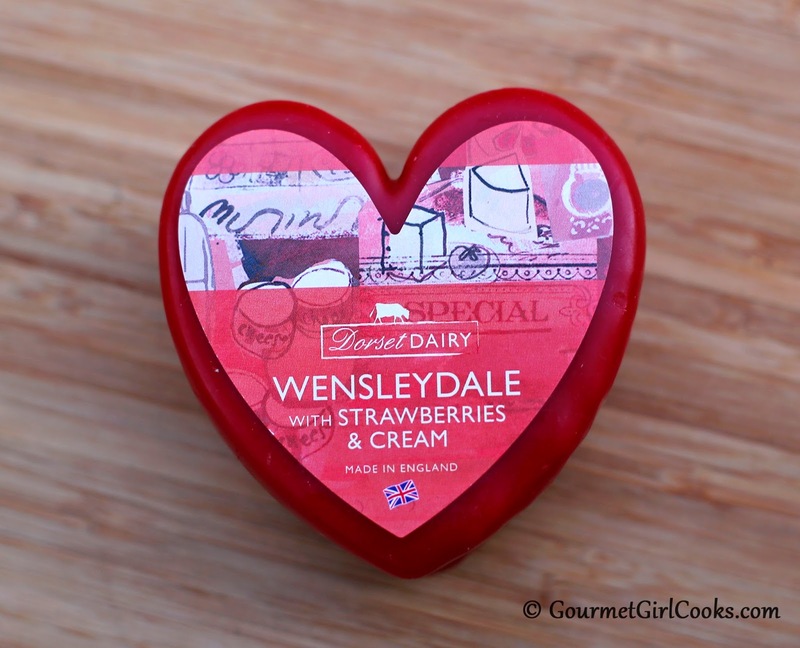 The first one that caught my eye was a beautiful red wax covered heart shaped chunk of English Wensleydale cheese with strawberries and cream. 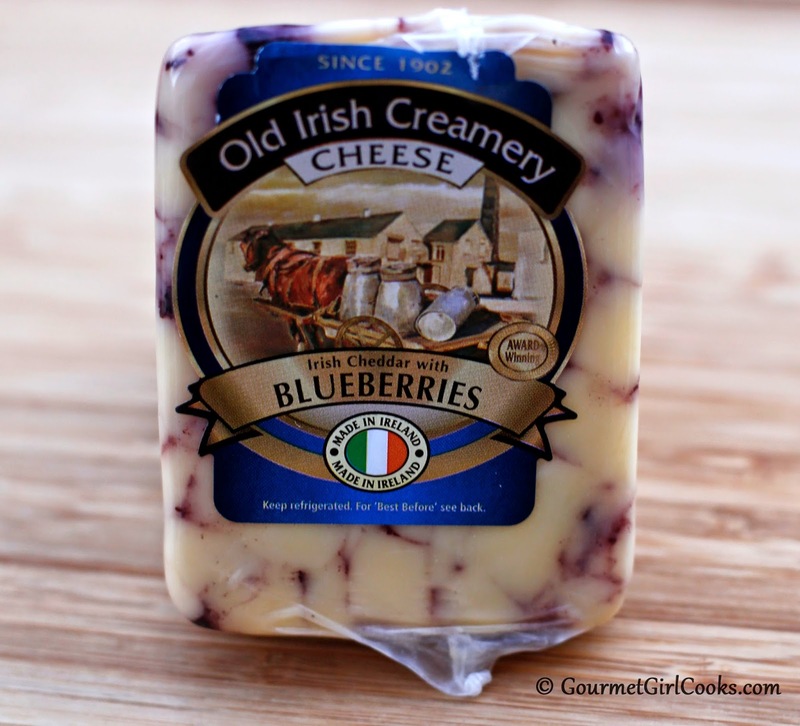 Then my eye went to another chunk of Irish cheddar cheese with blueberries. 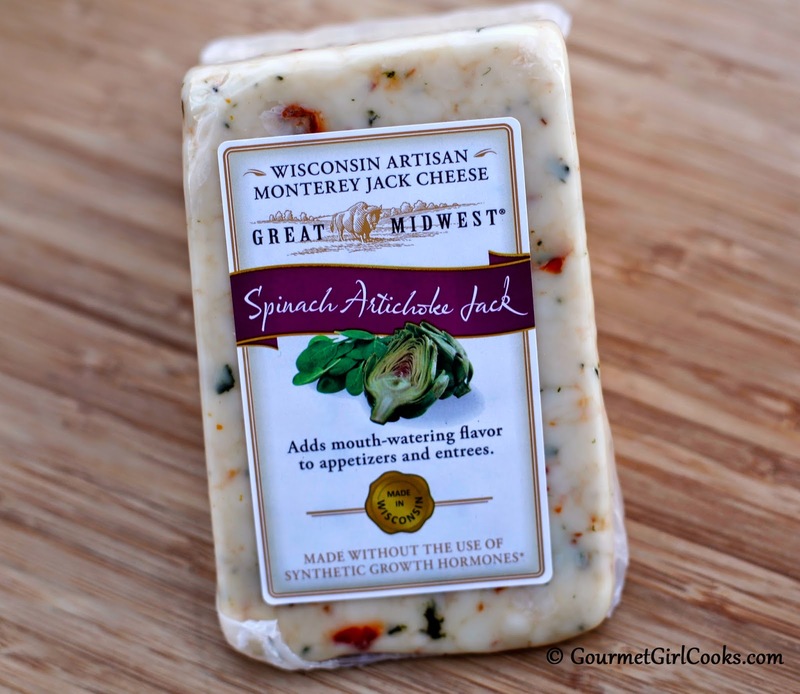 Oh no, then I saw some artisan Monterey jack cheese from Wisconsin with spinach and artichokes. Well, I stood there hemming and hawing, and couldn't decide which one to try...so I just grabbed all 3! LOL. 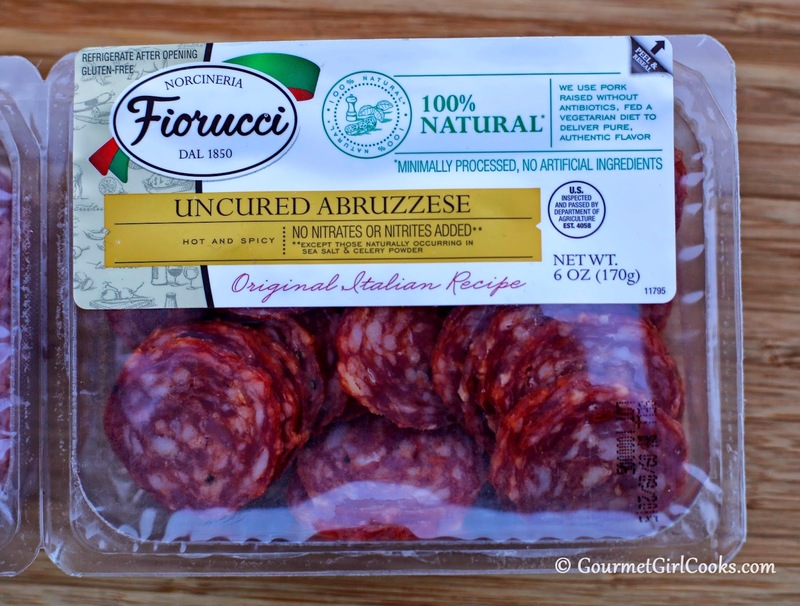 I also noticed that they were now carrying some of my favorite uncured imported Italian meats by Fiorucci. I love their uncured pepperoni that I find at Sprouts. 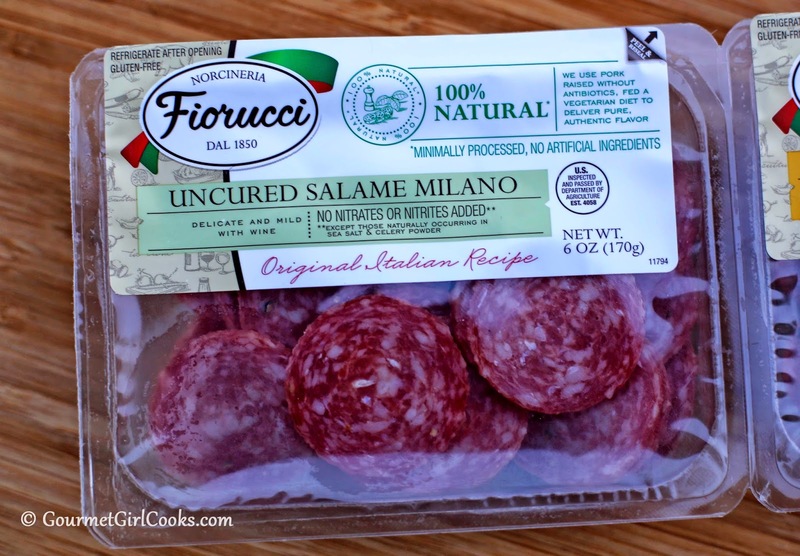 I picked up a double package of miniature Milano salami made with wine and some Abruzzese (a spicy dry Italian sausage). They are the perfect size to enjoy with cheese and crackers (grain-free crackers, of course)...or maybe put on pizza in place of pepperoni. I snapped a few photos of some of this evening's interesting finds below. I also included a picture of the "NuttZo" I picked up a few weeks ago at Costco. 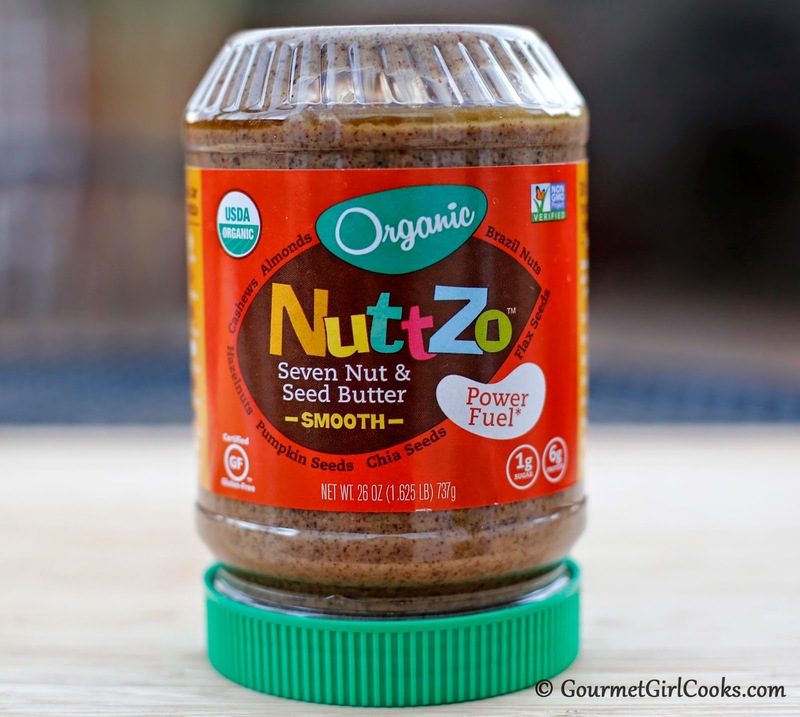 I haven't tried it yet, but it's probably appropriately named NuttZo because this little jar was almost $18.00! Suppose that's why they named it NuttZo? Well...once I try it, I'll let you know just how NuttZo it really is! Lastly, tell me if the cute little heart shaped cheese doesn't steal your heart too! ;-) Enjoy! Last, but not least...it's NuttZo! Those cheeses look fabulous! Must get to Sam's. Haven't seen Nuttzo at my costco but will check it out. Let us know when you taste it, seems quite pricey to say the least! We don't have Costco here; I wish we did. It appears they carry some cool stuff that Sam's Club doesn't, but I am very grateful for our Sam's Club! It got a remodel last year and one section that was enlarged is the cheese section! When I was in there today, I saw two of the cheeses you mentioned in your post. Didn't have time to stop, look, read, but will be back over there next week and plan to do so then. Oh, they were sampling the salami you mentioned so I got to taste one of them. It was very good! Sam's Club has really done a lot in the past couple of years expanding their offerings in healthier fare. I still wish we also had a Costco. I would shop at both! I haven't even ever been to a Costco. Now that's pathetic!! Thank you for sharing your fun finds, GGC!! Our Meijer's has started carrying Swerve ... both granular and confectioner styles. And their price is better than Amazon! Yipee! I know you also like the Fiorucci pepperoni...does your Sam's carry some of the Fiorucci products too? I would love it if they carried the pepperoni but at least I can get that at Sprouts. Funny you mentioned the Wensleydale with cranberries. I picked up a chunk of white cheddar with cranberries at our Publix (haven't tried it yet). 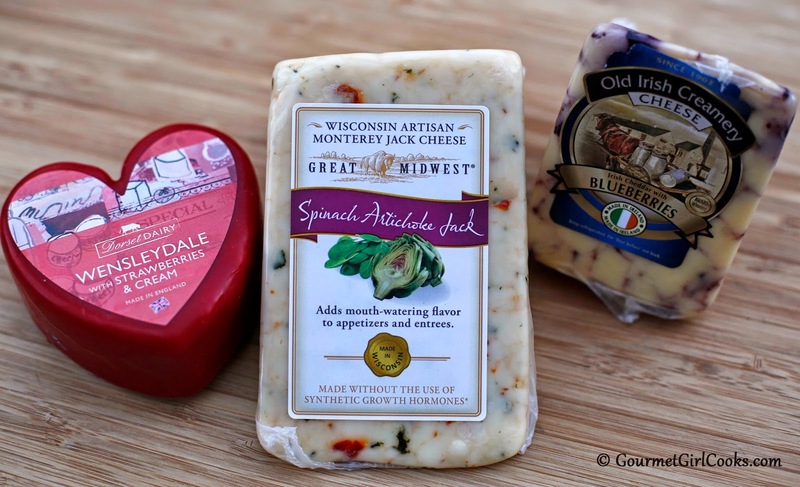 I don't know why I am fixated on cheese recently...LOL. I need to make some crackers and maybe make a cheese and cracker spread here soon! Yes, like your Sam's, ours carries Fiorucci products but not the pepperoni. We can get it at another local store, though, so all is not lost! :-) The crackers & cheese spread idea sounds like another winner! I have had the blueberry cheese, in fact, I still have some...awesome! !